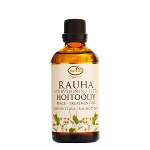 This ayurvedic care and massage oil harmonizes and soothes. 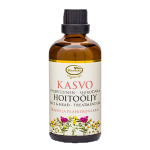 Vata Ayurvedic Body & Massage Oil is balancing, calming and warms the entire body. It also helps intestinal function and harmonizes nervous system. 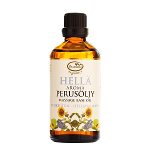 It is ideal for sensitive and dry skin care. 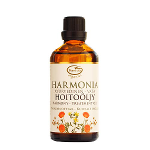 "Harmony" Treatment Oil to balance and relax especially the Ayurveda Vata-type. 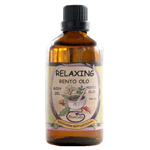 Apply and gently massage into the area to be treated, when needed. An ideal body oil to be applied daily e.g. after bath or shower. Use also in Ayurvedic massage and in other treatments to balance and sooth. 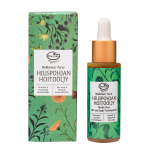 When treating dry skin you can use heat to enhance the effect. This can be done e.g. 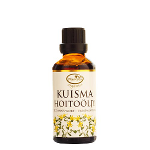 by re-entering the sauna after showering and applying Vata Ayurvedic Body & Massage Oil. The heat will enable the oil to penetrate deep into the skin tissue. 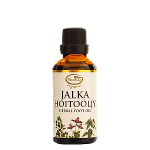 For additional aroma therapeutic effect, add 1-2 drops of Vata Essential Oil Mixture to 1 tablespoonful of massage oil.